so said ellie: I will leave my leather jacket at the door. I will leave my leather jacket at the door. 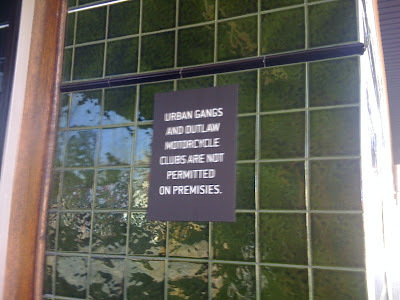 ...but suburban gangs and lawful motorcycle clubs are ok.